Have you ever thought about how cannabis actually works in the human body? How it gives its medicinal effects or how getting high can be connected to healing in the body? If you’ve ever done your research on the endocannabinoid system (ECS), you will know that our bodies are made up of receptors that interact with cannabinoids. If you’ve been wondering ‘what are cannabinoids,’ they are more or less naturally-occurring chemical compounds made by the cannabis plant, and they contain all of its healing benefits. There are more than 100 known cannabinoids, and they imitate the endocannabinoids that are naturally produced in the body. The cannabinoids act either directly or indirectly with the cannabinoid receptors to help our bodies to maintain health and stability. The endocannabinoid system was discovered in 1990 – yes, not that long ago. It exists in both the peripheral nervous system and central nervous system, and its job is to regulate the body, thereby creating homeostasis through several processes. 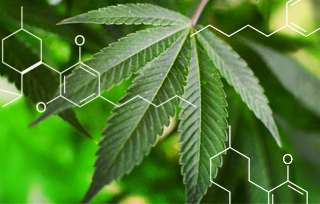 In this article, we will take a look at the five most popular cannabinoids and how they work. But first, it’s important that we understand the main distinguishing factor when it comes to evaluating cannabinoids. There are two main receptors that we know about: The CB1 and CB2 receptors. The CB1 receptors are found in the brain, and the CB2 receptors are found in the body. Cannabinoids can bind to these receptor sites and will produce different effects on the body depending on which receptor site they bind to. Cannabis strains are filled with many different cannabinoids, and when consumed they produce a variety of different healing properties depending on what receptor site they interact with and how. This is why one plant can be used to treat so many different conditions. So without further ado, let’s dive in. 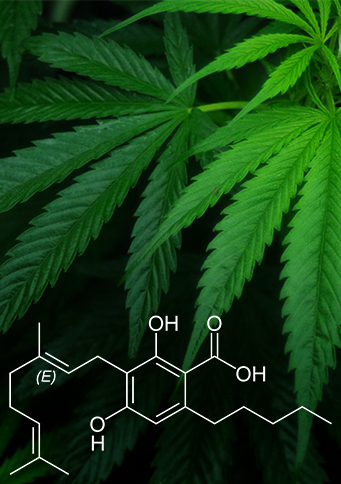 Let’s start with the ultimate and most well-known of the cannabinoids, THC. Famous for its psychoactive effects, this is the cannabinoid that is associated with “getting high.” But, while these cognitive effects are desired by some and not others, and come with a variety of advantages and disadvantages, THC also happens to have some incredible therapeutic benefits that shouldn’t be overlooked. THC is especially useful for reducing inflammation and managing pain. It directly addresses the underlying drivers of inflammatory disorders and chronic pain. THC also works well for reducing vomiting and nausea, while also being a great appetite stimulant. THC works by attaching itself to both the CB1 and CB2 receptors. It can be detected in the body for a lot longer than most other drugs; however, the psychoactive effects typically only last for a few hours. But, for up to 20 hours after ingestion, THC can be detected in the blood, and it’s stored in the organs and fat for three to four weeks after consumption. Aside from the above-mentioned health benefits, other common uses for THC include reducing muscle spasms, aiding sleep, managing glaucoma, and protecting of the nervous system – this makes THC helpful in managing ADHD, autism, and post-stroke symptoms. CBD is the other very well-known cannabinoid. It’s often referred to as the “new kid on the block,” but although it’s only become popular over the last few years, it’s actually been around for just as long as THC. CBD is renowned for its medicinal properties. In the medical world, CBD has really made its mark thanks to its effectiveness in treating epilepsy and cancer, among other conditions, without the psychoactive effects of THC. There’s no question that CBD is the star of the moment. If you live in a state where marijuana is legal, you’ve probably noticed that CBD has gone from being kind of around to absolutely everywhere all at once. Spas offer CBD facials, coffee shops sell CBD lattes, and beauty brands are releasing CBD-infused face and body creams. Everyone from your anxious cousin to your arthritis-suffering mother wants to get their hands on CBD. Last year, the first CBD medication was approved by the FDA. It’s called Epidiolex, and it’s a drug used to treat certain forms of epilepsy. In addition to reducing seizures and fighting the growth of cancer cells, CBD is also known for promoting anxiety relief and relaxation. CBD is also an antipsychotic agent, which is why it can be used to treat mental illnesses. Other popular uses for CBD include reducing muscle spasms, helping to manage pain, and working as an anti-inflammatory agent. CBDa is non-psychoactive and is the acidic precursor to CBD. It can be found in either live or raw forms of cannabis, especially in hemp plants that have been bred to cultivate high levels of CBD. In growing plants, CBD exists a CBDa. It isn’t until the plant is dried, cut and heated that CBD is created. CBDa isn’t known to interact directly with CB1 and CB2 receptors, but it works in the ECS as an inhibitor to the COX-2 enzyme, which gives it the ability to reduce inflammatory activity in the body. CBDa is also believed to enhance the serotonin that is affects the 5-HT receptor. This interaction can make CBDa a key contributor to the antiemetic effects of marijuana. While research on CBDa is lacking, there are a few other benefits of the compound which include the following; reducing inflammation, treating nausea and vomiting, helping with psychosis, and working as an anti-cancer agent. Its name may be very similar to that of CBD, but CBN has a unique profile of benefits and effects that has researchers eager to expand the scientific investigation. Thus far, the studied benefits of CBN include; pain relief, antibacterial properties, anti-insomnia and anticonvulsant effects, anti-inflammatory characteristics, it’s known to promote the growth of bone cells, and is also an appetite stimulant. But, the most characterizing attribute of CBN is its sedative effects. According to medical research, 5 mg of CBN is as effective as 10 mg dose of diazepam, which is a mild pharmaceutical sedative. If you use cannabis to help you sleep, a bit of CBN could work wonders for you. CBN is produced when THC is heated or otherwise exposed to oxygen. The process of oxidation is what converts THC into CBN. This is the reason that CBN may be more readily present in either aged or badly stored cannabis, since it has been exposed to oxygen. Some people consider the presence of CBN to be a bad thing, because it means that there is less THC present. But, in reality, it just means that a slightly different phytochemical profile has been created, and this alters the therapeutic benefits of the bud. While CBN is a great sedative substance, it doesn’t have any psychoactive effects and is, therefore, a useful way to medicate without getting high. 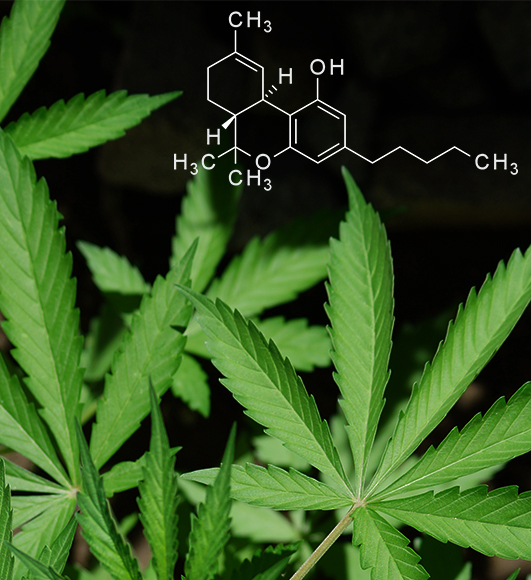 For many cannabis enthusiasts, THC is the most important cannabinoid. The other well-researched cannabinoid is CBD. However, there’s one that is even more important. Known as the “Mother cannabinoid,” CBGa is the precursor of all the other cannabinoids that are found in the cannabis plant. The reason that it’s deemed as the mother cannabinoid is that without it, no other cannabinoid would exist. CBGa is produced in the cannabis plant as it grows. As the plants matures, it converts itself into THCa, CBDa, and CBCa, among other cannabinoids. You may notice that each of these ends in an -a? This is because these cannabinoids are the acidic variations of the compounds. It’s through the use of heat or decarboxylation that the cannabinoids become activated, converting into THC, CBD, and CBC. How much of the CBGa will convert into each of the other cannabinoids and to what ratio mostly depends on genetics, but to some extent also the growing conditions. Industrial hemp plants typically have more conversion to CBD and CBG than those plants that have been bred for a high THC level. However, the increase in cross-breeding over the last few decades has resulted in many exceptions. 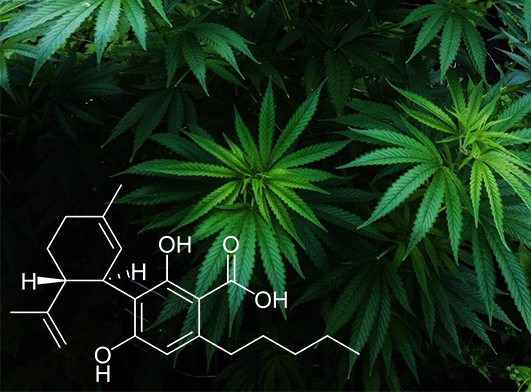 CBGa is known to have anti-bacterial, anti-inflammatory, antiproliferative, and analgesic properties; however, most research into the cannabinoid explores its essential role in the biosynthesis of other cannabinoids. To summarize, you might call them the ‘functional’ chemical compounds of cannabis: among other things, they are responsible for the high the plant produces, and also the physiological effects of the plant on our bodies (pain relief, sleep aid, anxiety relief, etc). Hopefully this helps, and be sure to get in touch or leave a comment below if you’ve got any further questions, comments or concerns! Ivy from Ashburn just bough! Sebastian from Ashburn just bough! Anika from Ashburn just bough!